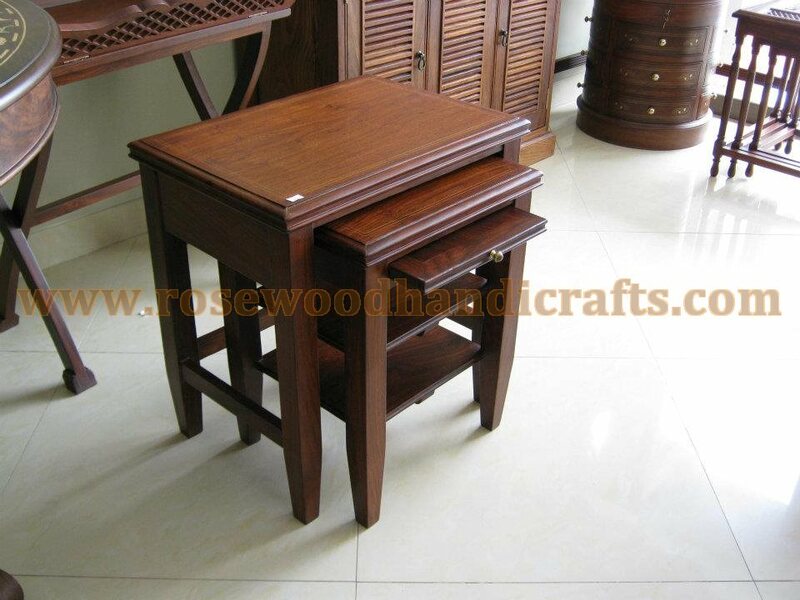 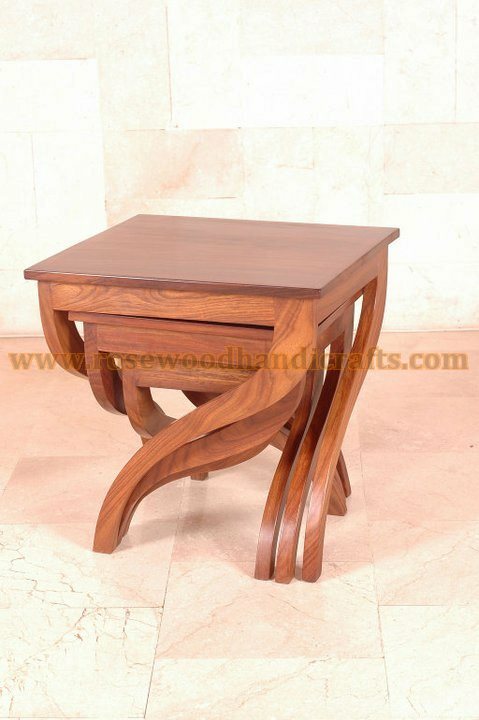 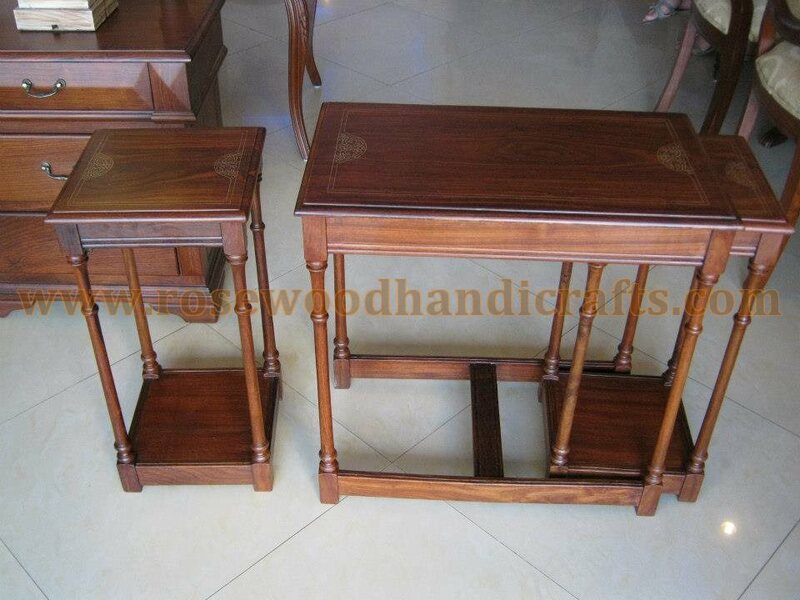 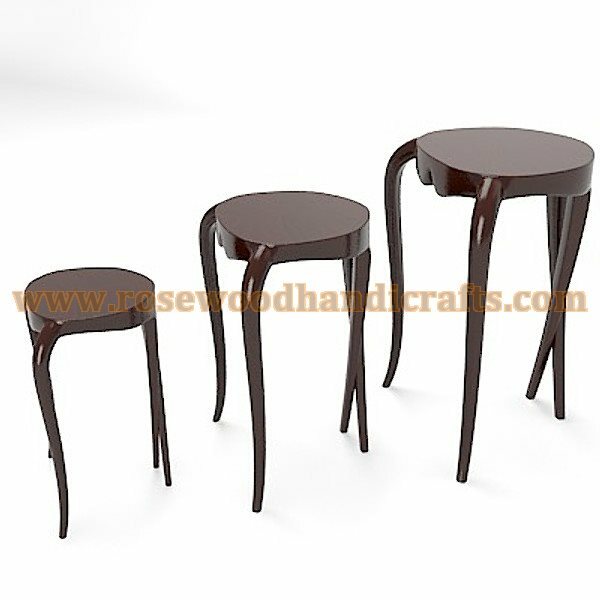 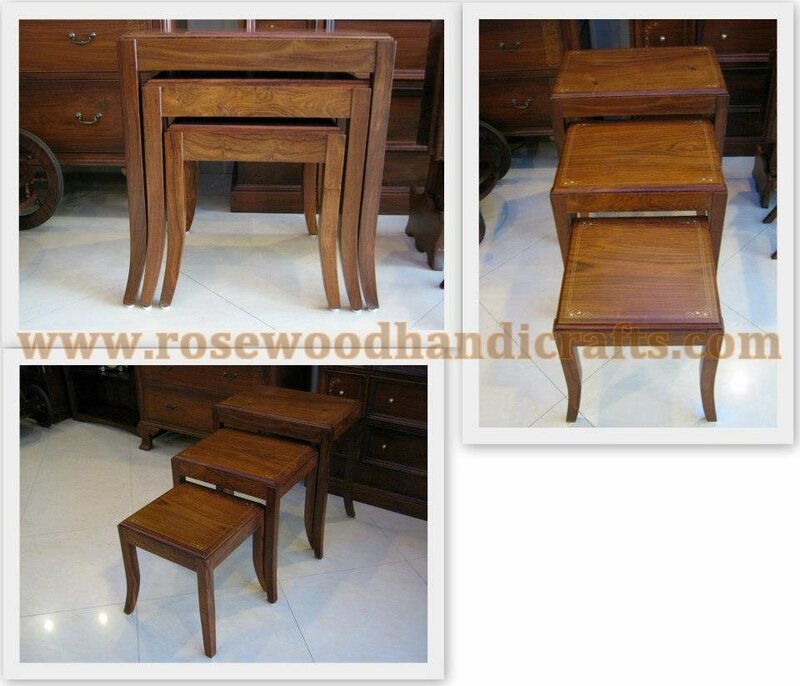 Our nesting tables, also known as nesting end tables, are handcrafted using high quality sheesham wood, and are hand carved to flawless perfection. 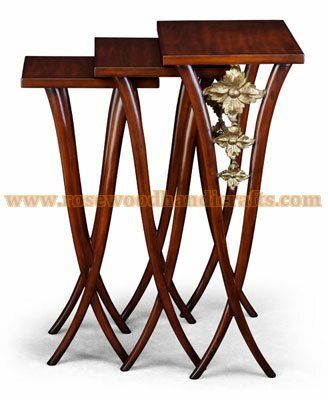 Designed to complement our collection of unique bedroom furniture, our nesting tables help create a unique home d�cor theme. 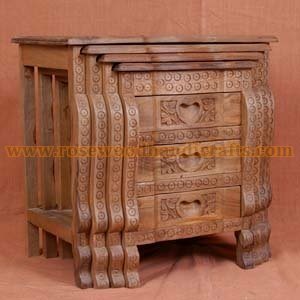 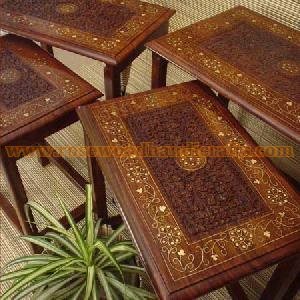 Artisans from Pakistani hold world acclaim for the outstanding workmanship of their hand carved wooden nesting tables and bedroom furniture. 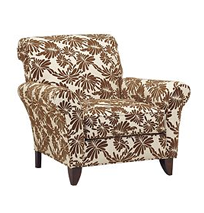 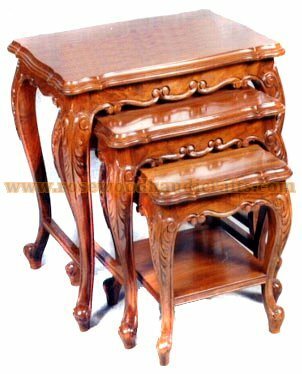 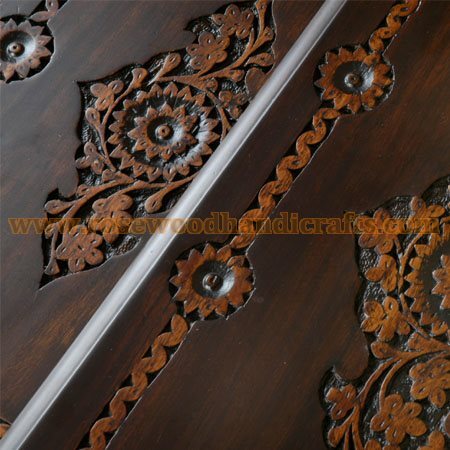 For centuries, the Pakistani wood carver has created artistic masterpieces in wooden bedroom furniture, filling royal palaces with lavish carved wooden furniture. 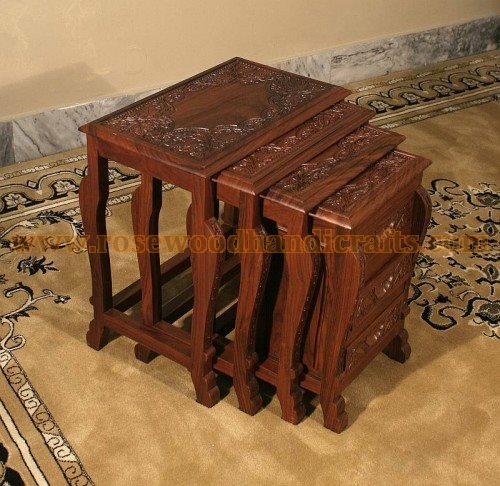 Functional, sturdy, and aesthetically outstanding, celebrate the charm and grace of Pakistani craftsmanship today with our collection of unique nesting tables. 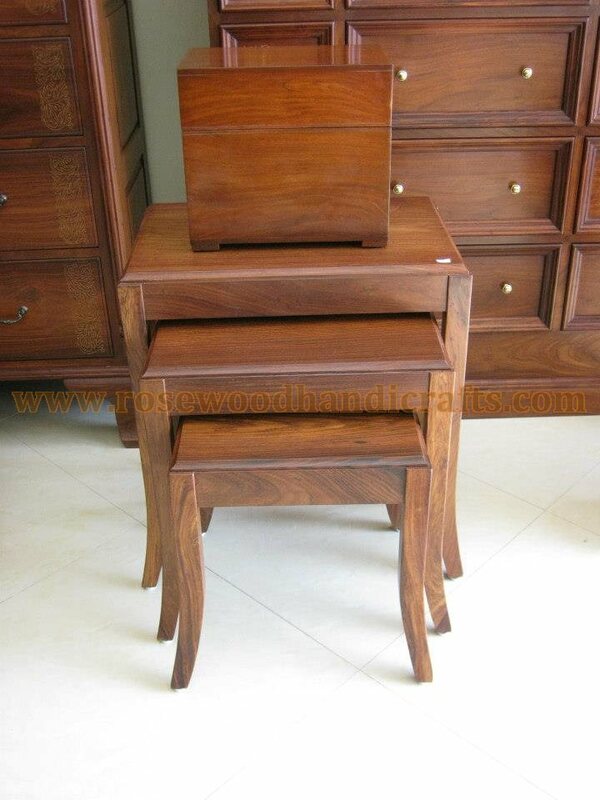 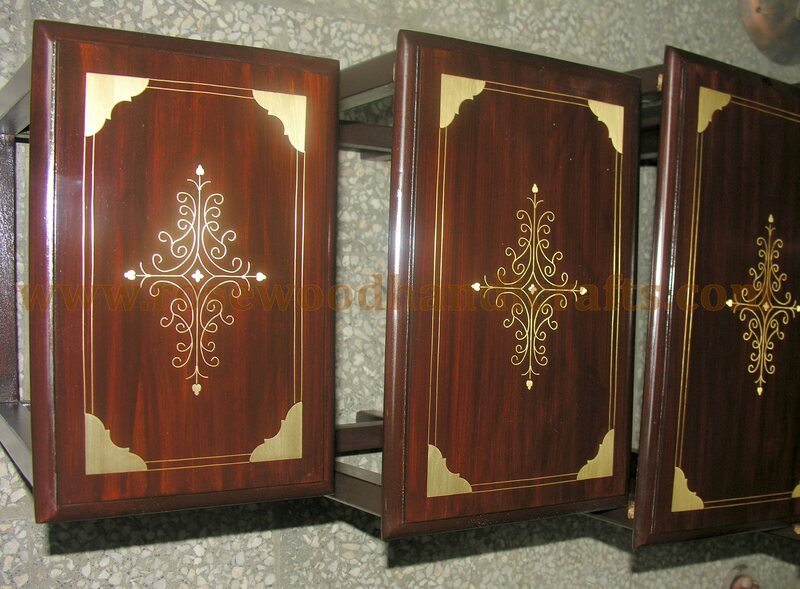 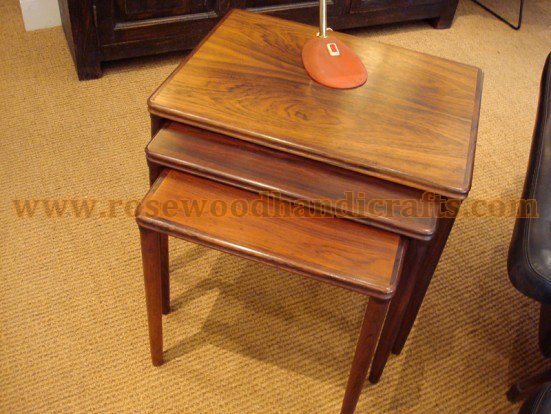 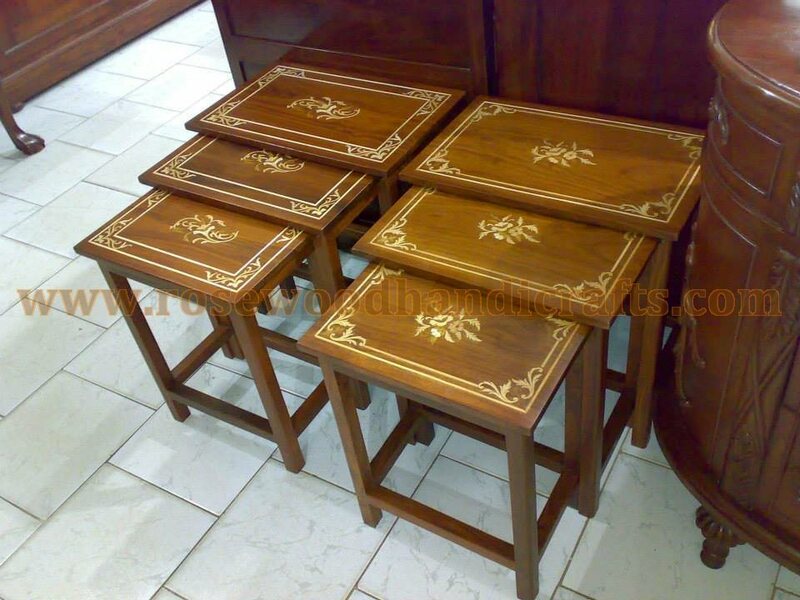 Deatail:: Nesting Table with wood inlaid work on top.Set of 4 tables that fit into one another. 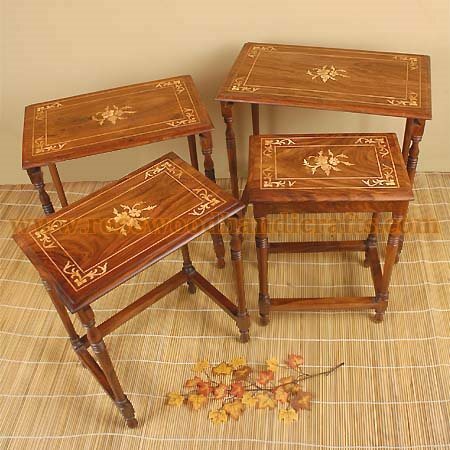 Deatail:: Floral hand carved nesting table set. 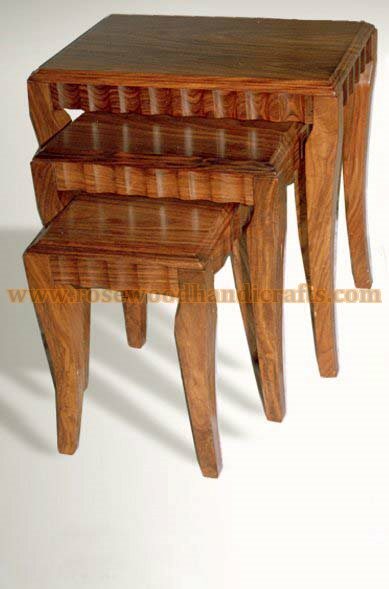 Set of 4 tables that fit into one another. 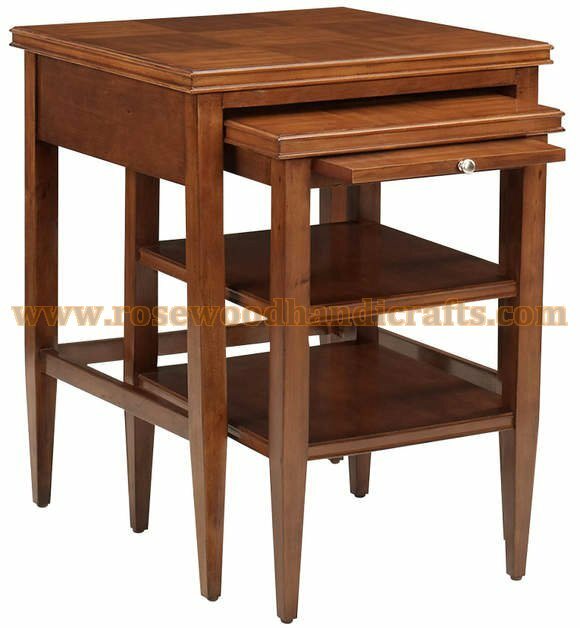 Deatail:: Nesting Table with top on Glass . 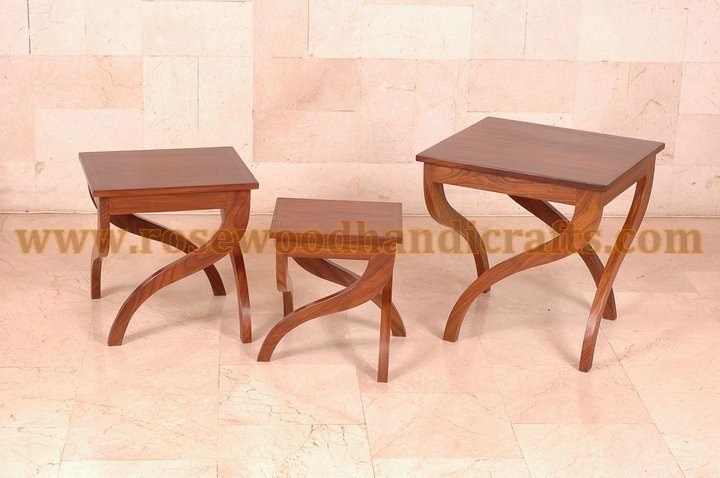 Set of 3 tables that fit into one another. 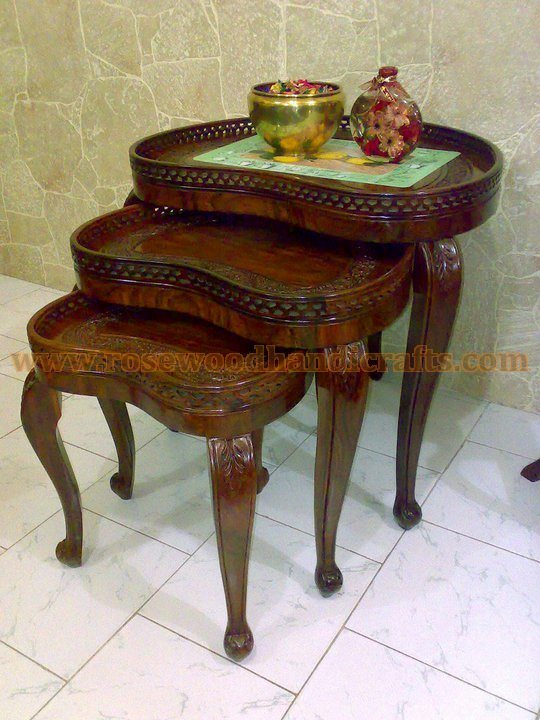 Deatail:: Nesting table with full carved and brass inalid work. 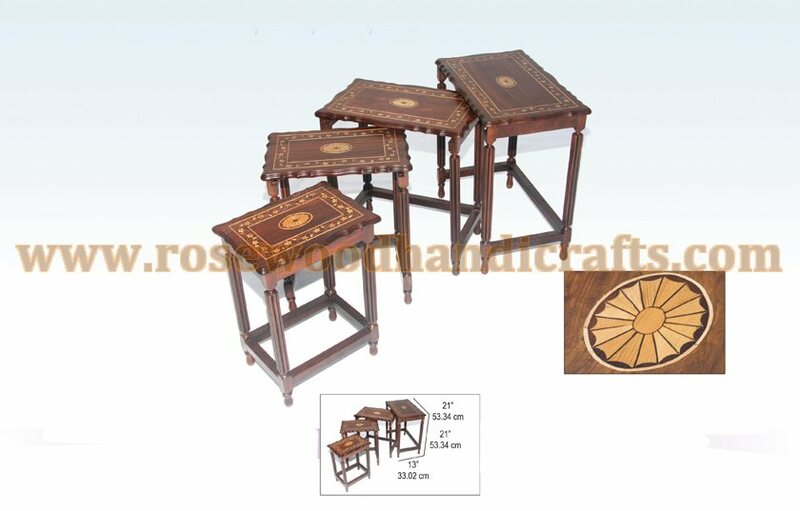 Set of 4 tables that fit into one another. 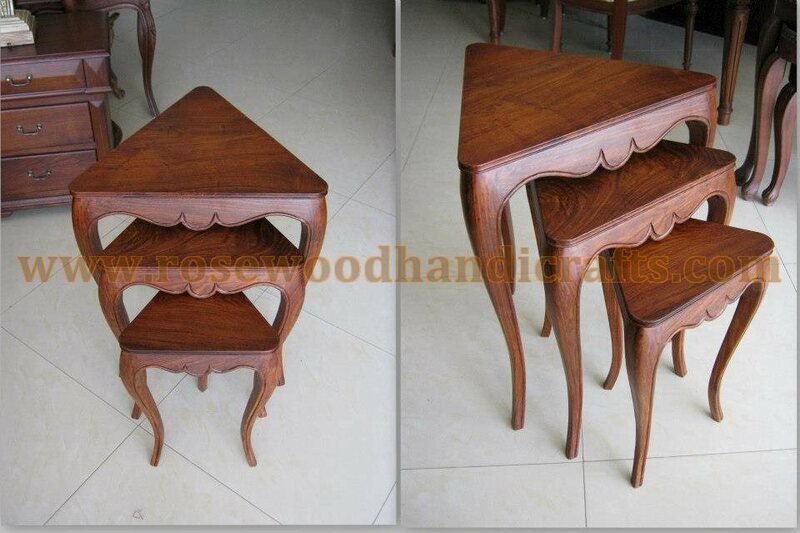 Deatail:: Heart Shape Nesting table. 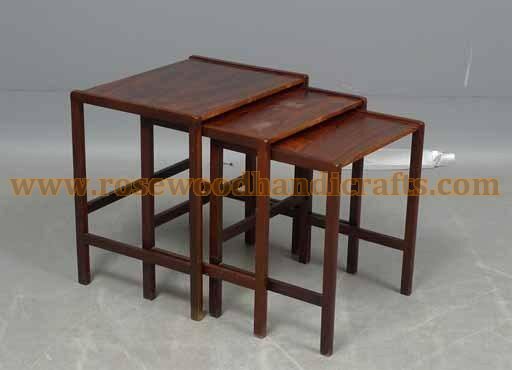 Set of 3 tables that fit into one another. 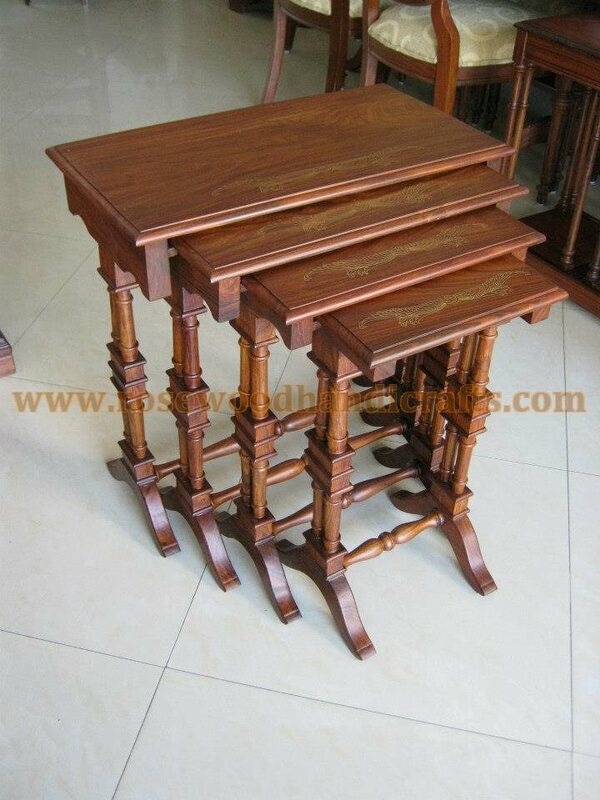 Deatail:: Nesting table. 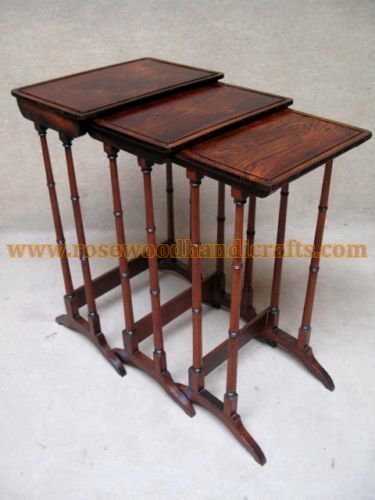 Set of 3 tables that fit into one another. 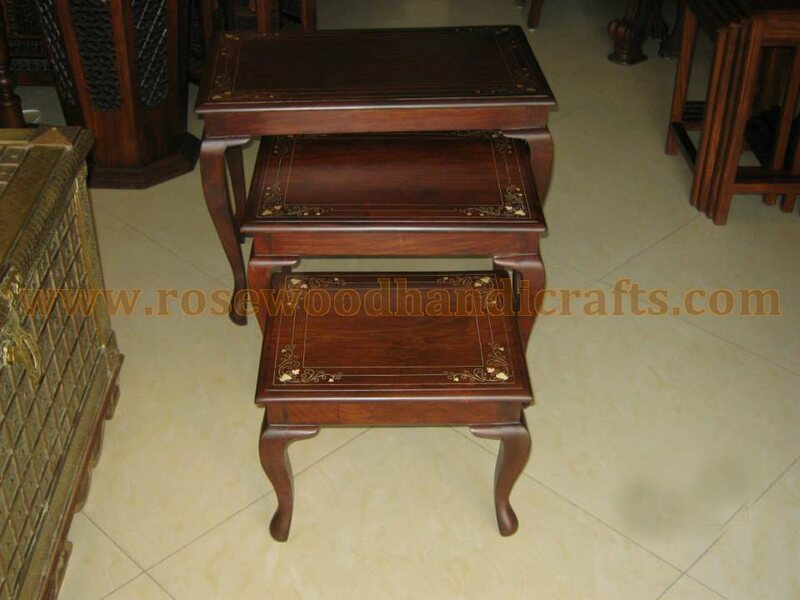 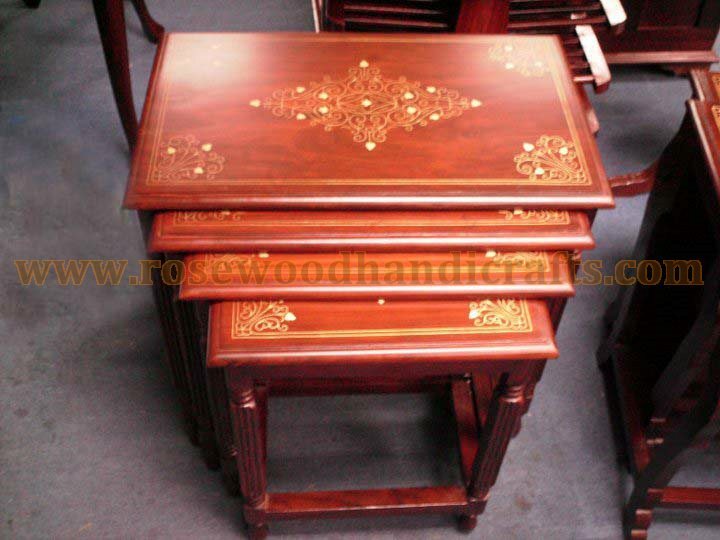 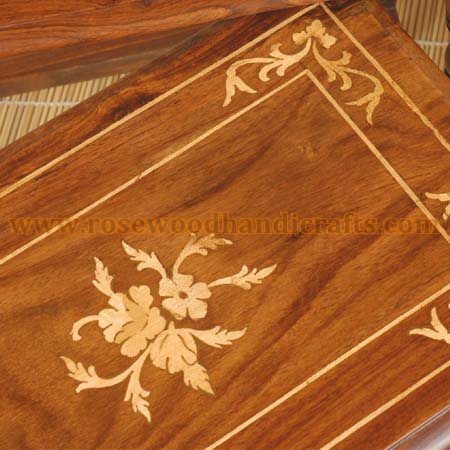 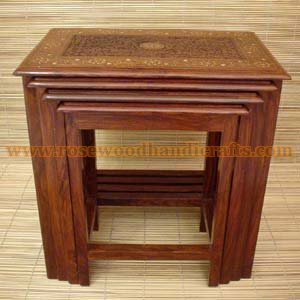 Deatail:: Nesting Table with wood inlaid work on top. 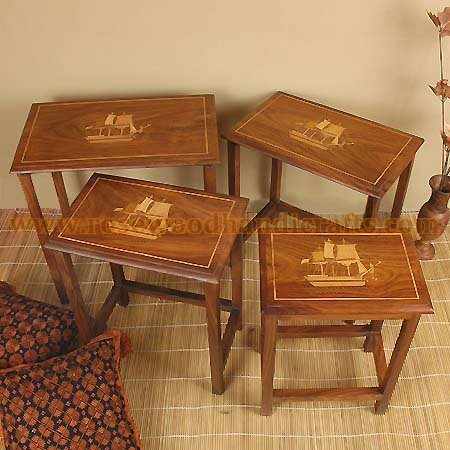 Set of 4 tables that fit into one another. 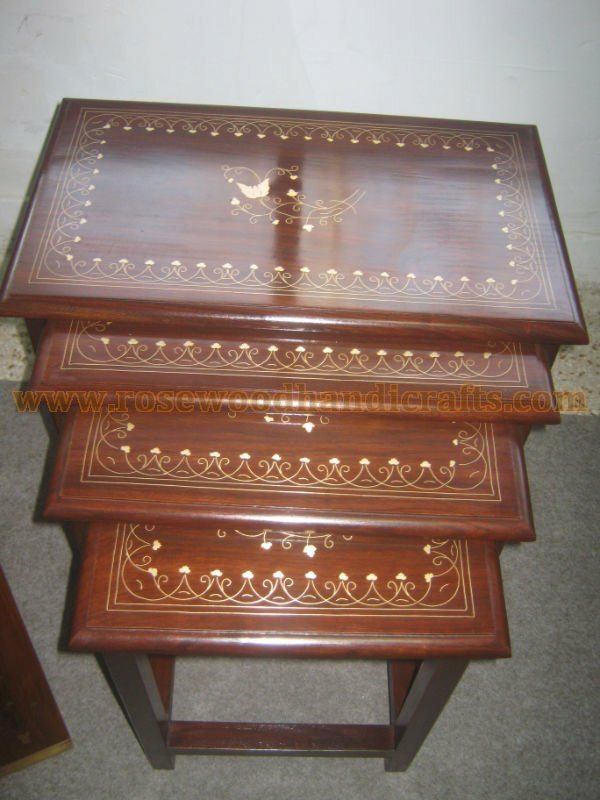 Deatail:: Nesting Table with brass inlaid work. 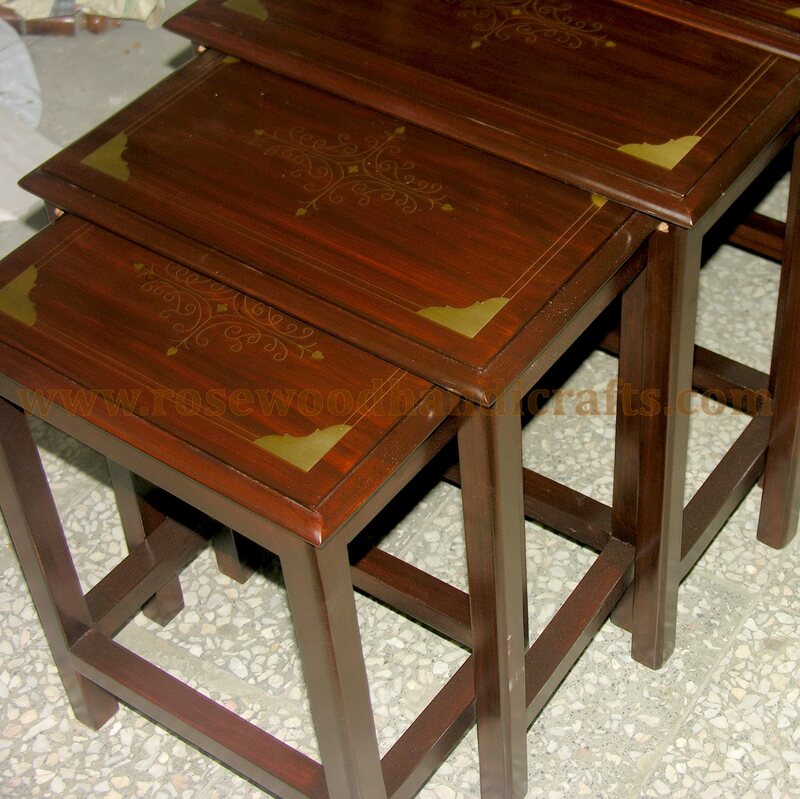 Set of 3 tables that fit into one another. 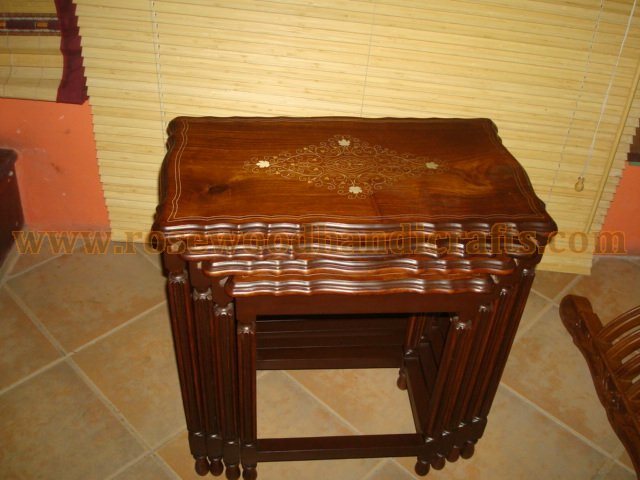 Deatail:: Carved Nesting Nesting Table. 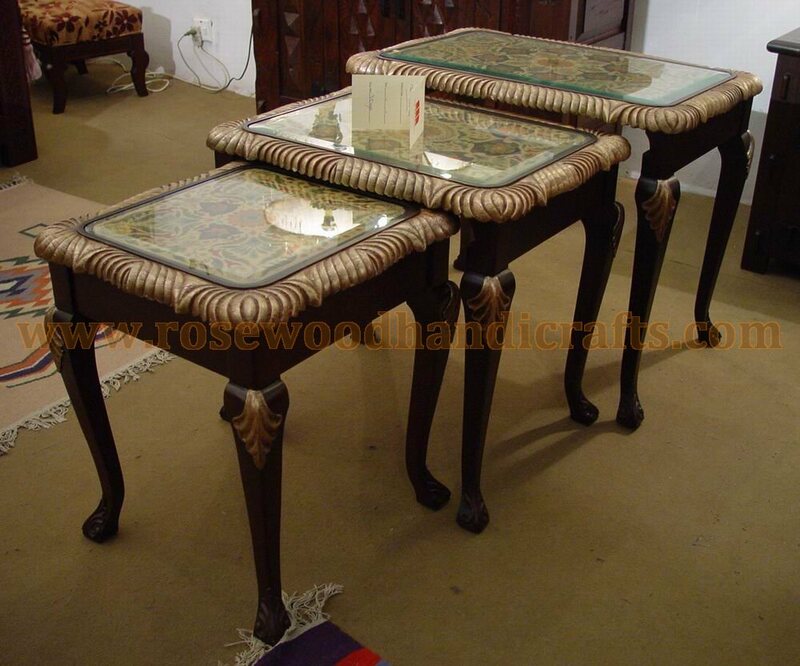 Set of 3 tables that fit into one another. 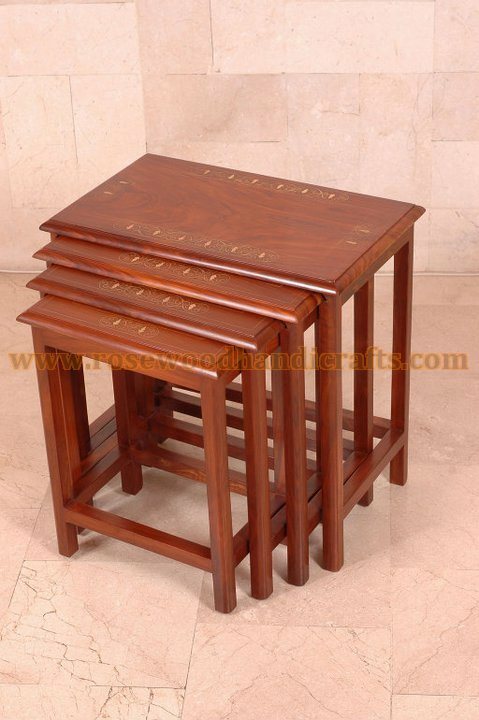 Deatail:: Nesting Table. 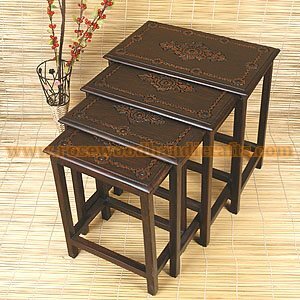 Set of 3 tables that fit into one another..
Deatail:: Nesting Table. 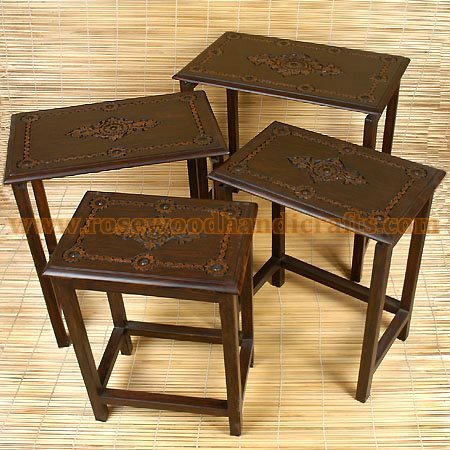 Set of 4 tables that fit into one another. 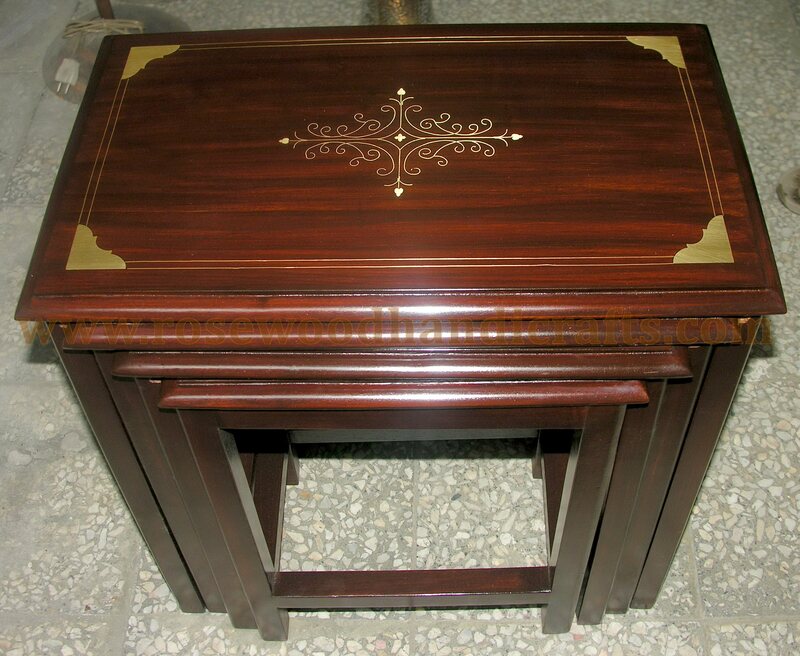 Deatail:: Nesting Table with brass inlaid work on top. 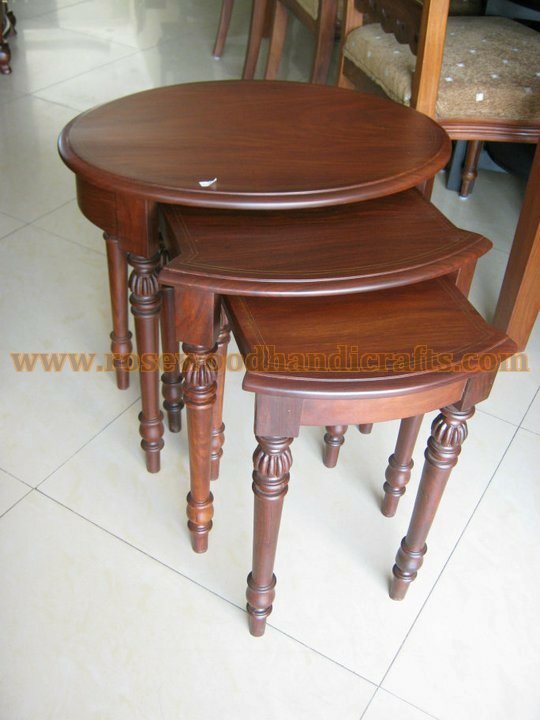 Set of 4 tables that fit into one another. 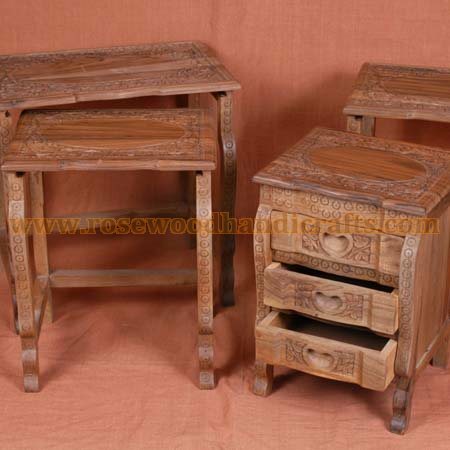 Deatail:: Nesting table full carved and wirh drawers . 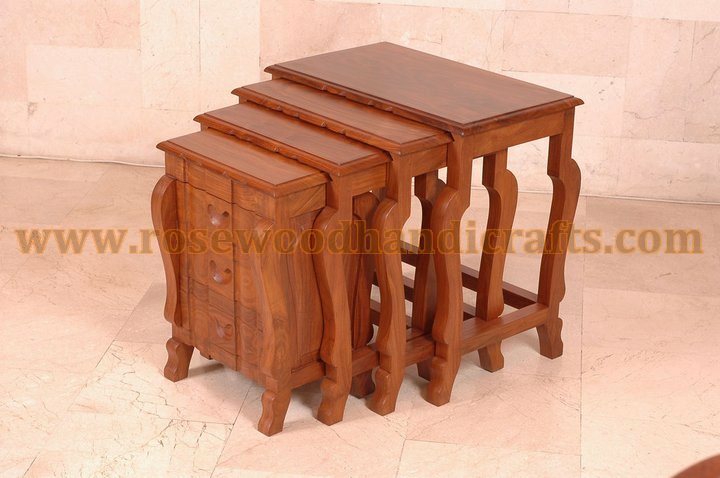 Set of 4 tables that fit into one another. 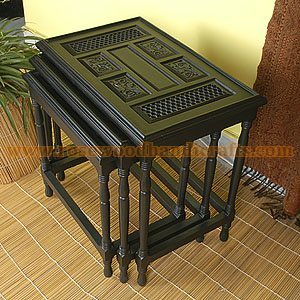 Deatail:: Nesting Table with brass inlaid work on top. 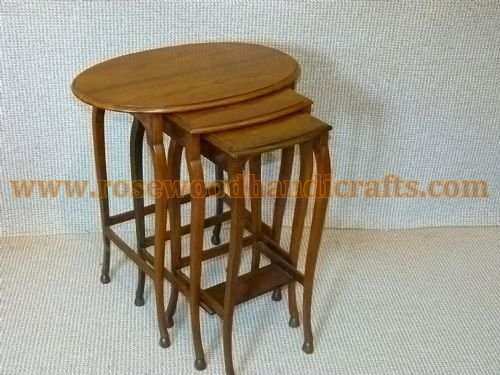 Set of 3 tables that fit into one another. 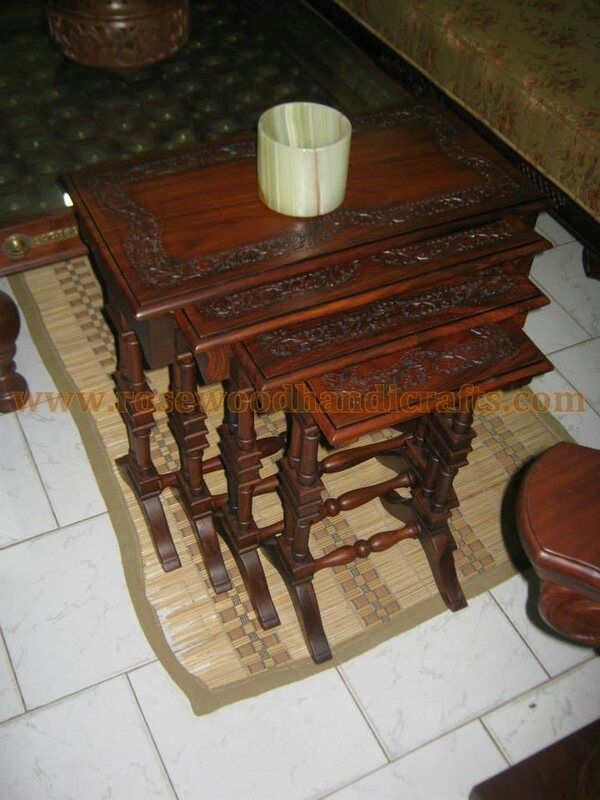 Deatail:: Nesting Table With Glass and wood inalid workv on top. 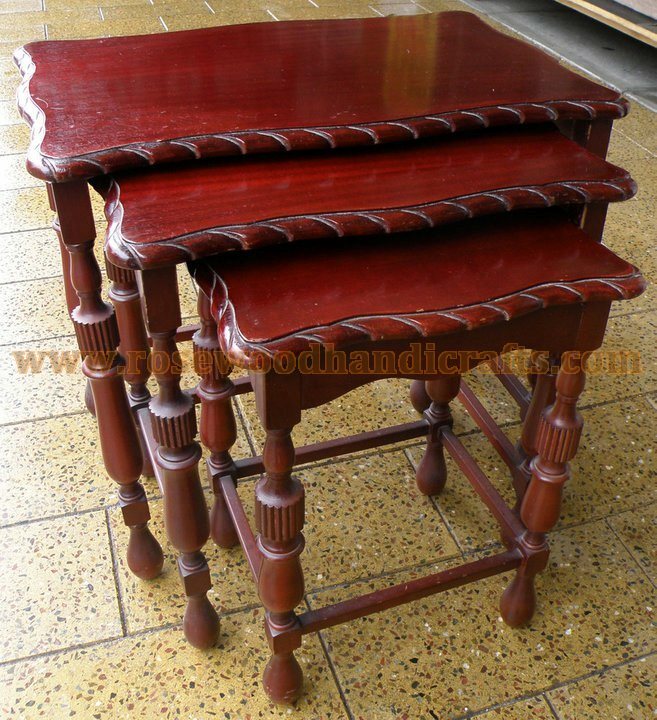 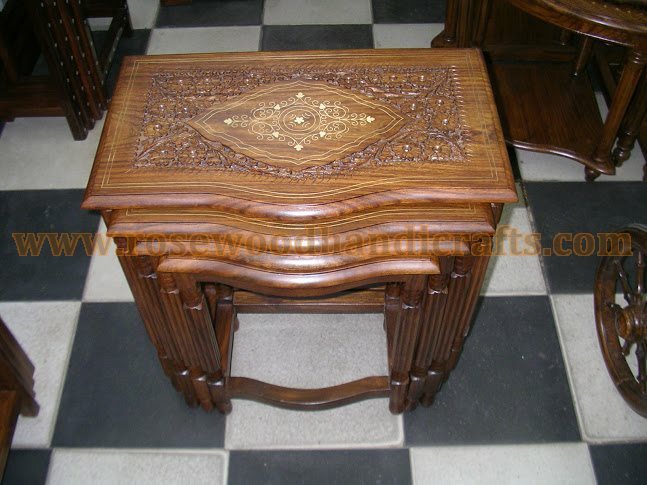 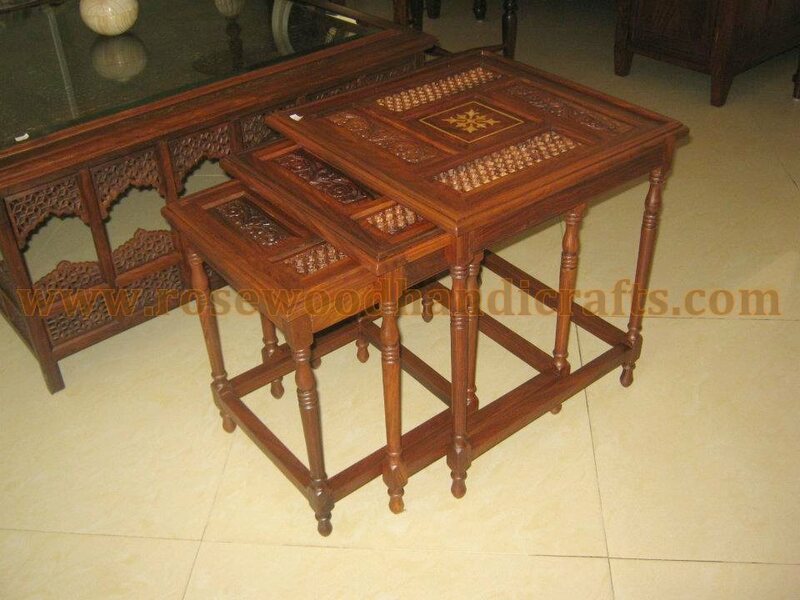 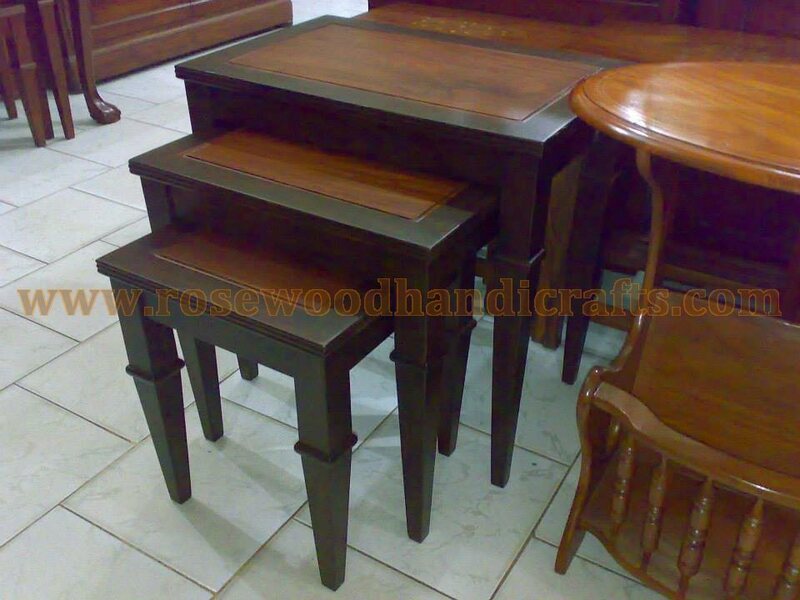 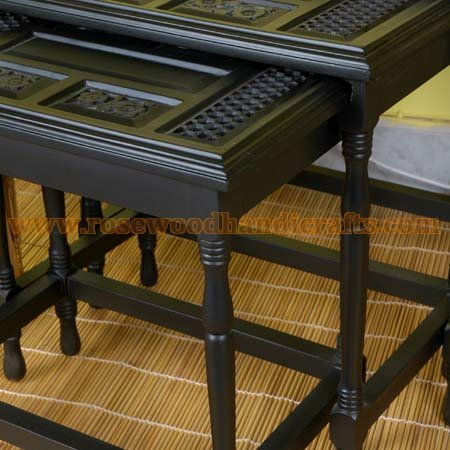 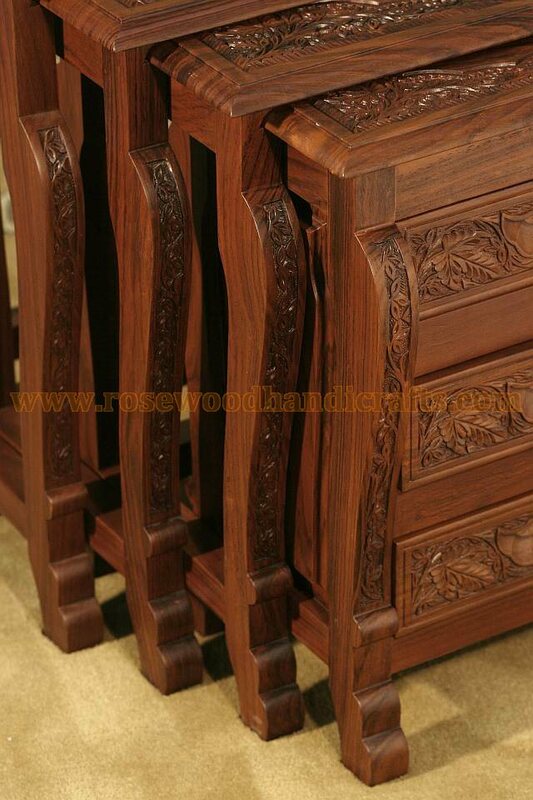 Set of 3 tables that fit into one another..
Deatail:: Nesting table full carved top . 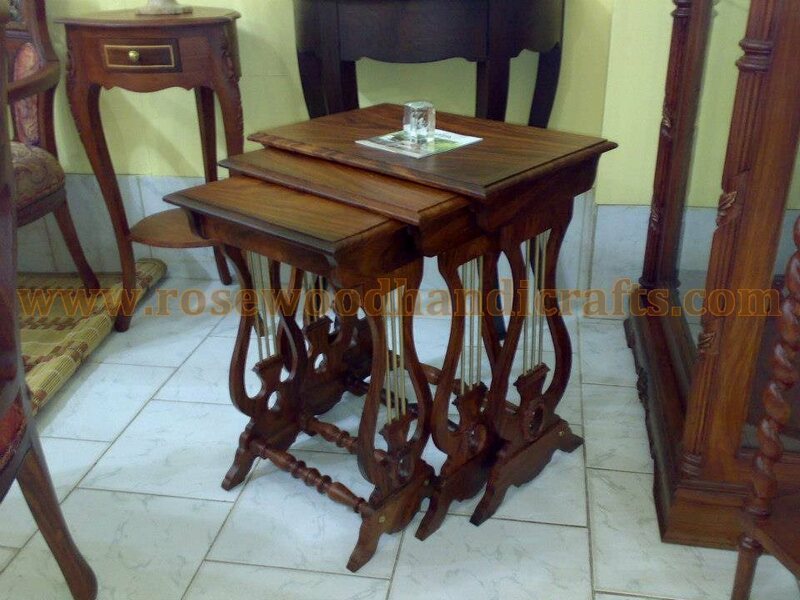 Set of 4 tables that fit into one another. 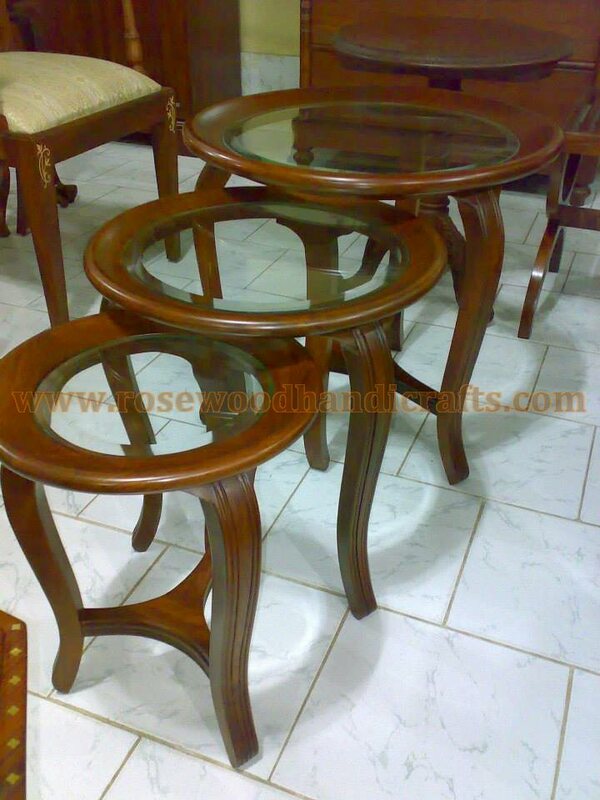 Deatail:: Round nesting table with Top Glass. 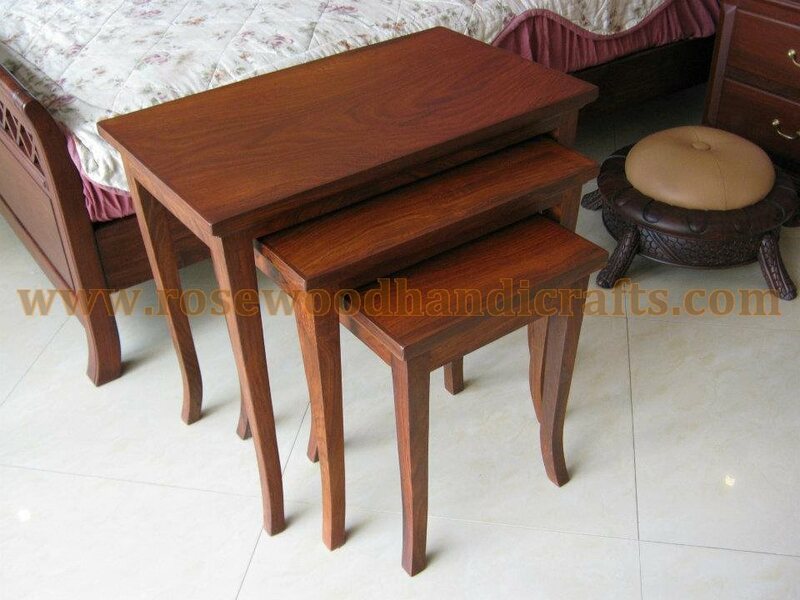 Set of 3 table that fit into one another. 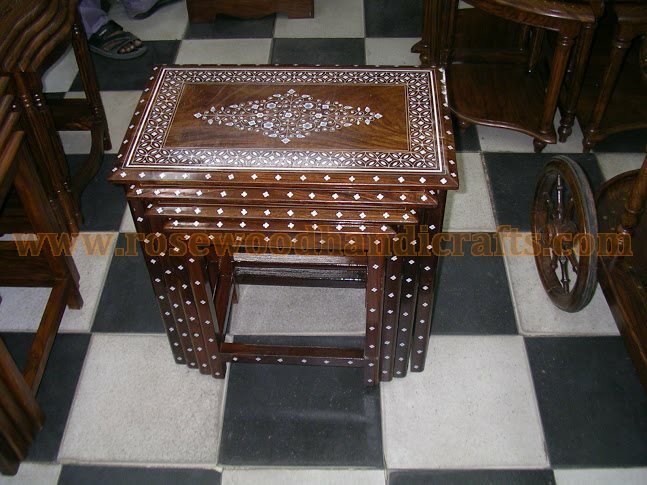 Deatail:: Nesting table With Wood inlaid work on Top. 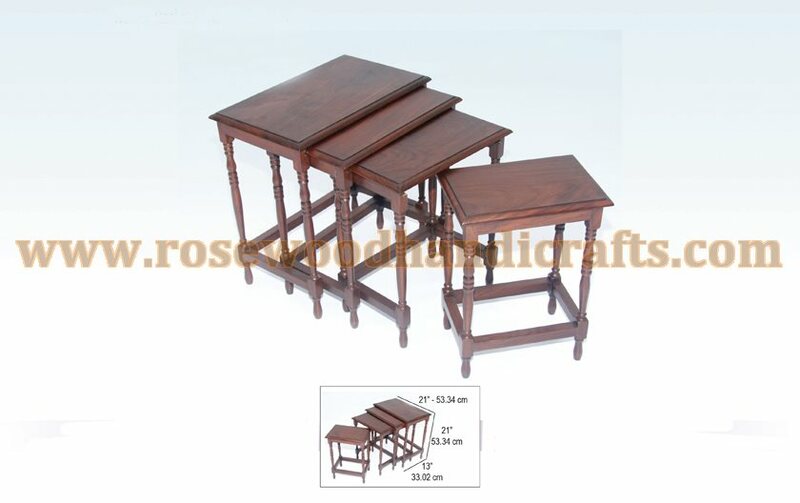 Set of 3 tables that fit into one another. 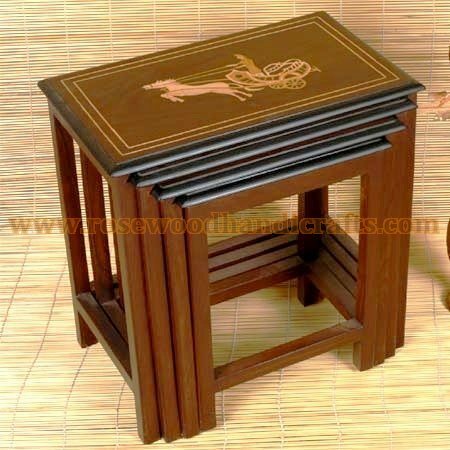 Deatail:: Nesting table With plastic inlaid work On Top. 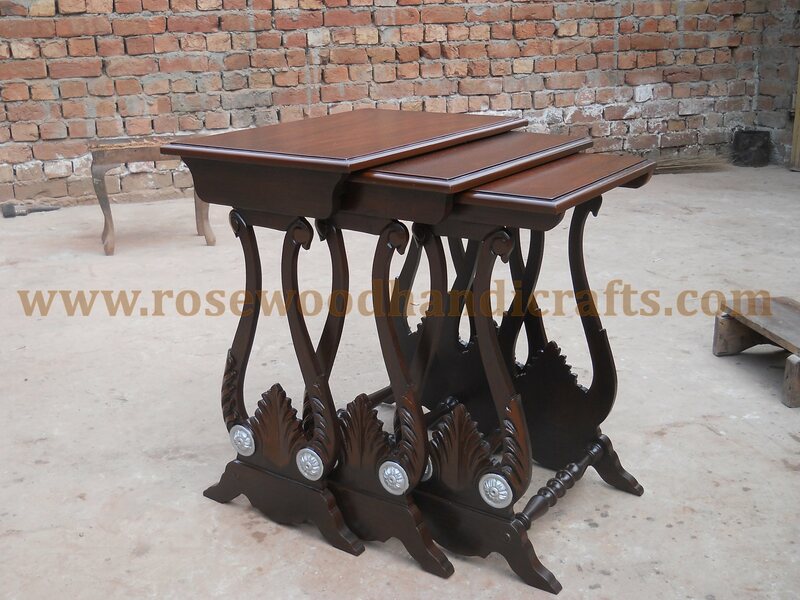 Set of 4 tables that fit into one another. 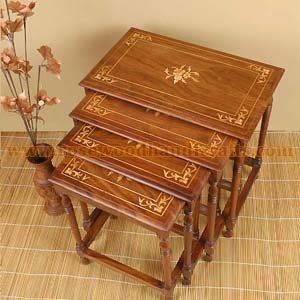 Deatail:: Wooden nesting table.Set of three tables that fit into one another. 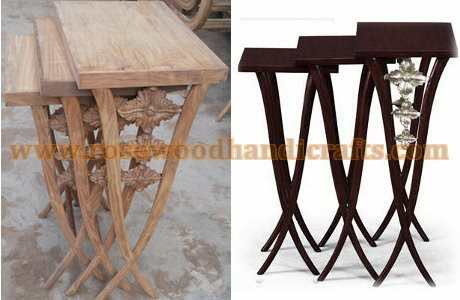 3 tables that fit into one another.